FB Influence 2.0 (simply referred to as FB Influence from here on out) is a social marketing strategy created by Amy Porterfield. It is designed to grant you access to the billions of active Facebook users. In fact, Facebook has more than 1,300,000,000 active users! With this HUGE number of users it is a no-brainer that you must learn how to access this valuable market. However, it isn't as easy as creating a simple Facebook fan page. There are many layers and idiosyncrasies involved with Facebook marketing. As a result, if you or your business wants to use Facebook effectively you will either need to do a lot of self-learning or hire a firm to manage your Facebook presence for you. FB Influence is a resource that claims to do the former. Amy Porterfield, who also co-wrote wrote “Facebook Marketing All-In-One for Dummies”, has a wealth of Facebook and social media marketing. She created FB Influence to “take you from Facebook beginner to Facebook marketing expert”. Here I will provide you with an independent and honest review of FB Influence. First, I will discuss some of the pros and cons of the program followed by a brief overview of the product. Then I will give you an idea of who this product is for, the training tools available, the support offered, as well as the price. Please continue reading to find out what my final recommendation is regarding FB Influence. What Does FB Influence Do Right? FB Influence provides its customers with a website filled with resources that is very user friendly and easy to navigate. Even the most beginner internet user should be able to navigate the website with few problems. The training modules and bonus materials (see Training Overview below) are laid out in an intuitive way that allows for easy progress and smooth transitions from one to the next. Most of the training comes in the form of videos which are generally more exciting and easier to follow than written tutorials. As a plus the videos are of high quality and are very informative with little to no fluff. There is a range of material covered from Amy Porterfield’s own experiences as well as a variety of case studies. 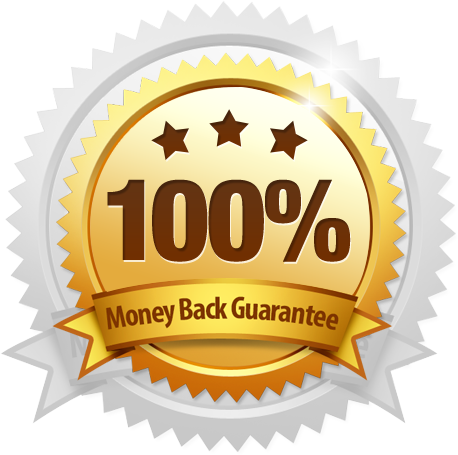 Another seemingly good aspect of FB Influence is that it offers a “100% Money Back Guarantee” for the first 60 days after you purchase the program. However, I have read that these aren’t always as good as they seem…so take the “guarantee” with a grain of salt. What Does FB Influence Do Wrong? Unfortunately, as with most products there are a few drawbacks regarding FB Influence. First of all, I don’t believe the material offered is anything you can’t find anywhere else. In fact, I would be willing to bet that you could find any of the information offered in this course somewhere online for freeif you are willing to search for it. Given this, it is hard to wrap my mind around the initial cost of $97. On top of this, there is an up-sell and continuity charges that will cost you much more later on. These additional expenses are not mentioned anywhere in the promotional material nor in any of the reviews published about the product…because they don’t want you to know about them. However, if you scan the affiliate page you will notice that they are quick to point out any affiliate will earn “50% of all sales including the up-sell & continuity offers”. If they are using those potential sales to encourage affiliates to promote their product than you know for sure they are going to happen eventually! FB Influence consists of four modules and six bonuses. Each module consists of 5 twenty minute long videos for a total of 20 videos for your viewing pleasure. In addition, each module offers a PDF transcript, PowerPoint slide presentation, Cliff notes, and an mp3 file. Five of the six bonus modules are PDF files of various links and the sixth is acceptance into a “Members Only” Facebook support group. Additionally, there are many links on the site to additional relevant resources you may be interested in. Who Is FB Influence For? This product is best suited for small businesses and individuals looking to greatly increase their presence on Facebook. More specifically, it is good for those who are looking to have all of this type of information in one central location and are willing to pay for that convenience. How About The Training And Tools Provided? As I mentioned earlier FB Influence consists of four modules, each with five 20 minute videos as well as six additional pieces of bonus content. This module is primarily focused on teaching you the very basics of using Facebook for business purposes. It will teach you how to create a branded Facebook page, create a welcome tab, operate the Facebook page dashboard, as well as finding a community manager for your page. Building off of the basics learned in Module 1, this module is directed towards creating engaging, targeted content with the intent of building your fanbase with legitimate fans. It specifically discusses strategies to increase your presence in your friends’ and fans’ Newsfeeds and integrating social plugins and other tools into your Facebook Pages and websites. Module 3 really digs deep into the specifics on how to most efficiently and effectively reach out to an increasingly larger audience. You will begin to use data analytics to determine proper posting times as well as how to effectively use and promote special events. Converting your followers into paying customers is the focus of the fourth and final module. It focuses on Facebook appropriate customer service, effectively using images for free advertising, optimizing your paid Facebook ads, and building an effective Facebook store. It also comes with an action plan to follow. Will You Get Your Questions And Concerns Answered? There is some support available to the members of FB Influence. The primary way to access support is through the Facebook group; however, unless the “experts” are actively engaged in this group I wouldn’t consider this true support. Rather, it is a bunch of people in a similar situation trying to figure out questions…assuming everyone actually participates. Additionally, there is a “support” area within the dashboard to email your support needs to administrators. There is also an area with many frequently asked questions available to all members. Amy Porterfield also promises to add new videos and content as Facebook makes additional changes with their systems. However, I have little faith in this promise as it would be much more profitable for her to simply make a FB Influence 3.0 and charge a new fee to access the new information. Overall, I would say the level of support within FB Influence is not adequate compared to what some more robust programs have to offer. How Much Is FB Influence Going To Cost You? The start-up price of FB Influence is a one-time payment of $97. As far as any promotional material show this is the only cost you will come across. However, as mentioned earlier, if you dig a little deeper you will discover that there will be an additional up-sell and further continuity offers. They are likely not planning on updating any of their content as technology advances. They will not get any more money from you so why should they work to give you more content? The product offered is not as good as they claim it to be and they don’t trust it to convince you to pay them money once you have access to it. What Is My Final Recommendation? FB Influence contains valuable information that will likely help you to generate a strong Facebook marketing strategy. It was created by Amy Porterfield: a social media expert who really knows her stuff. All of the material is laid out and easy to understand for even the very beginner. However, I believe the content that FB Influence offers is not top secret and exclusive only to this product. In fact, FB Influence is simply a well put together compilation of information that is accessible for free elsewhere. Because of these two factors I would not recommend this product if you are on a budget. However, if you have a little bit of extra money and are able to pay for convenience then making an investment in FB Influence may be of interest to you. Are There Better Facebook Training Alternatives? If you've made it this far you are probably wondering if there are any really good programs out there to teach you about Facebook; maybe other aspects of Internet Marketing as well. If this is the case, I would highly suggest you check out Wealthy Affiliate University. I have an in-depth review on my website here: Wealthy Affiliate University – Why It's My #1 Recommendation. In this review I will tell you how Wealthy Affiliate can and will teach you everything you need to know about, not just Facebook marketing, but every aspect of online marketing in its entirety…all for cheaper than FB Influence! If you are currently using or have used FB Influence please leave a comment below to let me know how you like/liked it. If you are researching whether or not to make the investment please leave any questions or comments you have below! Great review, I have never heard of this company before, thanks for the heads up. A very professional and detailed review, written in a style which is easy to follow and understand. Thank you for useful and valuable information. Thank you for your comment John! Like I mentioned in the post FB Influence really just offers you the ability to pay for convenience. All of the information included is available elsewhere. It just might be more difficult and tedious to find. Hey Dustin nice honest review here, I,m a bit weary of sites that don’t tell you about extra charges straight up. I follow a lady by the name of Kim Garst she does have this type of information for free, so you were right in what you said about this. Yeah, I definitely agree. I think the only reason you would really want to buy this is if you are willing to pay for convenience and you have a little extra cash burning a hole in your pocket. I will go check out Kim Garst and see what she has to offer. Thanks for the suggestions!